This week I’ve been working on the cover of my Mindful Journal. 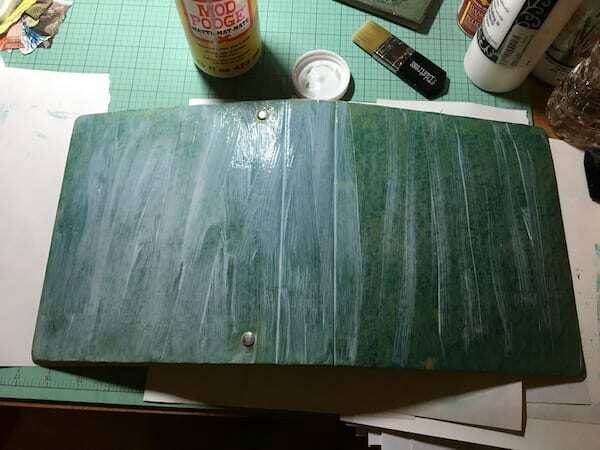 When I first sat down at my table and faced the blank cover, I was overwhelmed by the emptiness…the blankness. And my mind went blank as well. I actually entertained the thought of just putting it away and going back to the old way of doing my journal. But, I knew this is not what I wanted, so instead, I sat quietly, looking at the blank cover, and I looked inside myself, asking: What do I want this cover to express? When I pick it up to work in it, how do I want to feel? What is my underlying theme for this year? It came to me that my friend Sandra and I, at our last mini-retreat, had chosen our word/phrase for the year, and I knew what I wanted to do. And how apropos that my phrase for the year is ‘change with ease’. Do I cover it with pictures, or select a few pictures that express my theme? 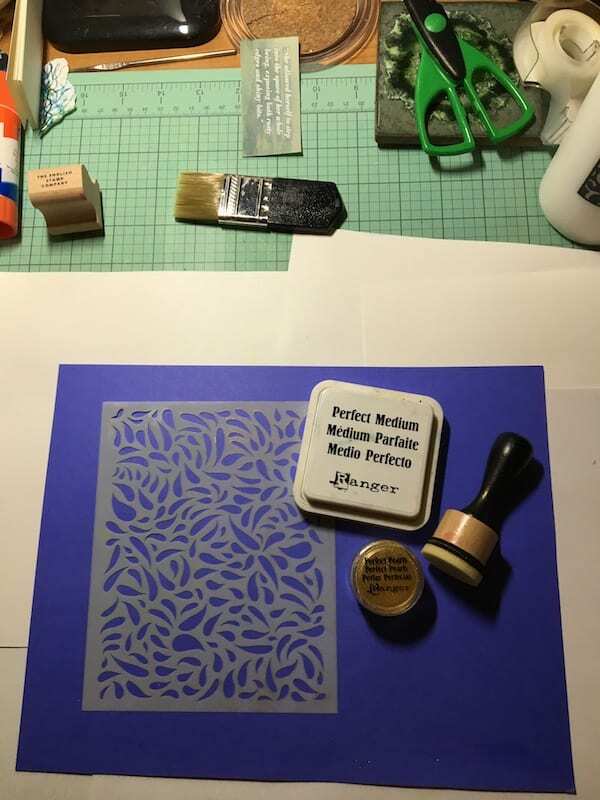 What mediums do I want to use? 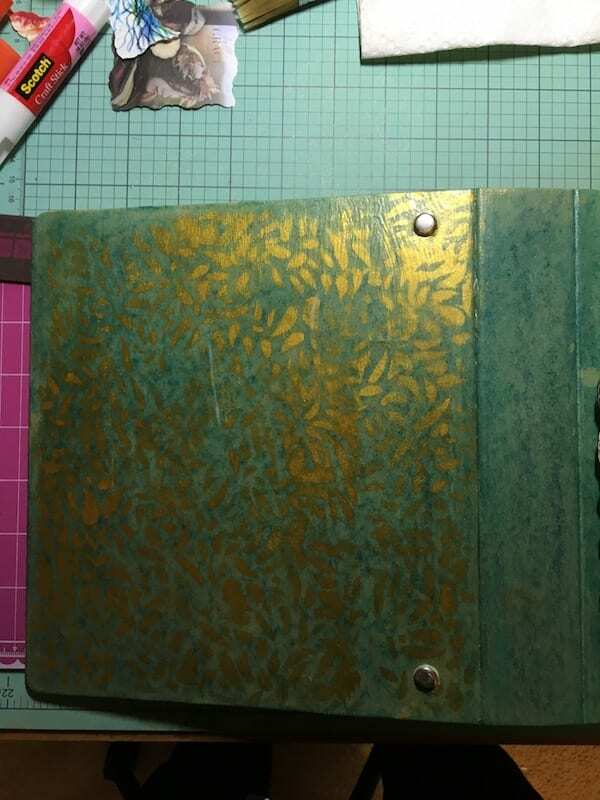 Do I want to use stencils…stamps? Pleased with the results, I’m ready to move on to the inside of my journal now, which includes the inside covers, and the monthly pages. Not a clue what I’m going to do yet, but, this time next week…well, I’m hoping. 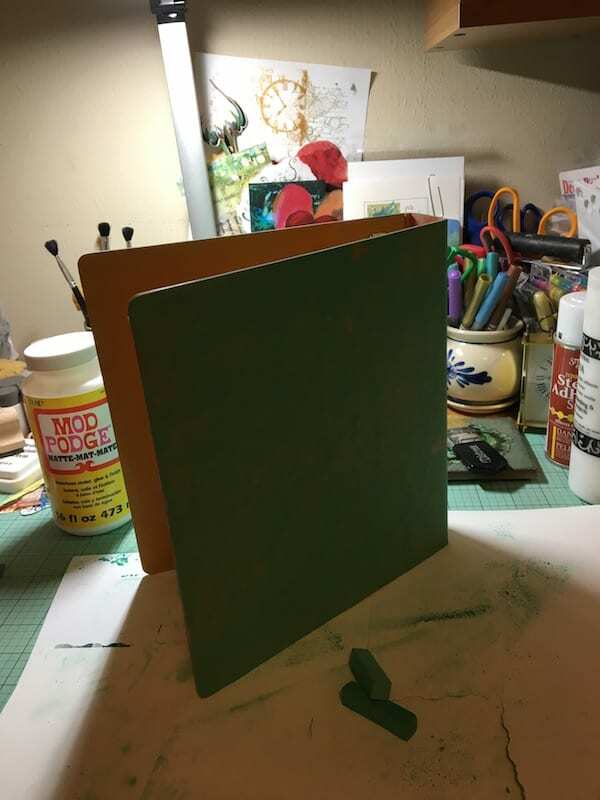 Please feel free to leave any comments or questions about this process, or, better yet, share your journal cover with me. I would love to see it! 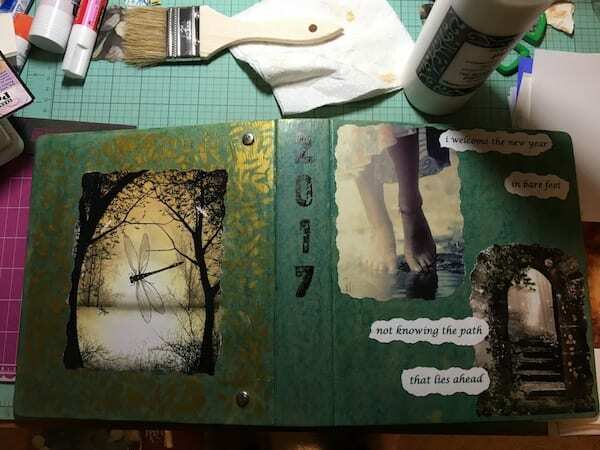 Glenda, Thank you for sharing the steps you took to create your 2017 journal cover. I am moved by the colors and images and always inspired by your work. Thank you, Sandra! The feeling is mutual. I appreciate reading about your process, how you calmly engage those moments of uncertainty, allow them to pass, and firmly move forward with your intention. Those are some lovely images that will surely inspire you all year long.